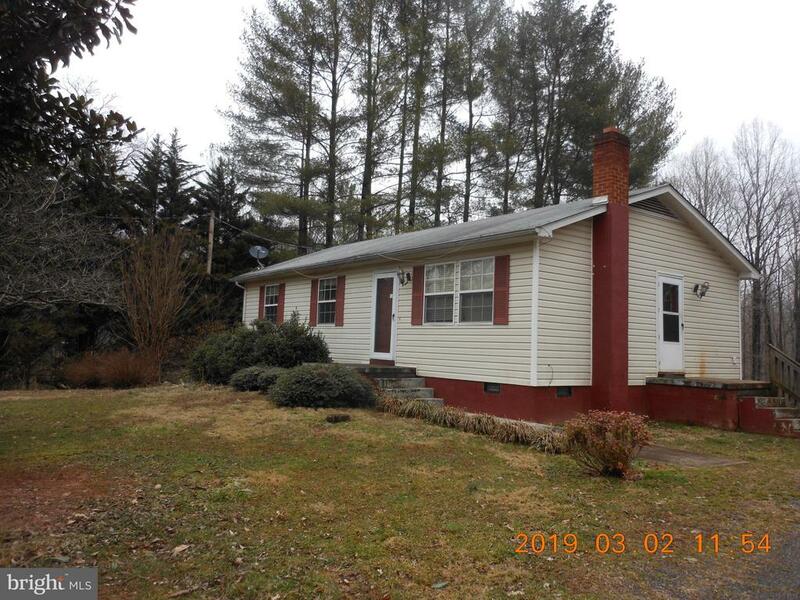 All Rixeyville homes currently listed for sale in Rixeyville as of 04/22/2019 are shown below. You can change the search criteria at any time by pressing the 'Change Search' button below. If you have any questions or you would like more information about any Rixeyville homes for sale or other Rixeyville real estate, please contact us and one of our knowledgeable Rixeyville REALTORS® would be pleased to assist you. 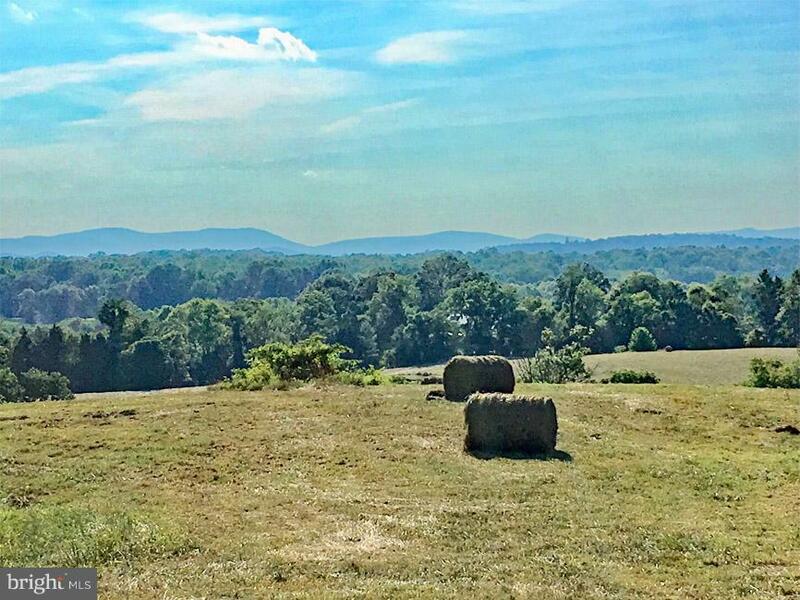 "Old Orchard Farm: 275 + or - acres already divided into 24 recorded parcels from 5 acres to 36 acres. Beautiful mountain views, strong run, mostly open and rolling. 1868 house, barns, all sold as is. Over a mile of state road frontage. Any plats may not be to scale. Please no drive ins. 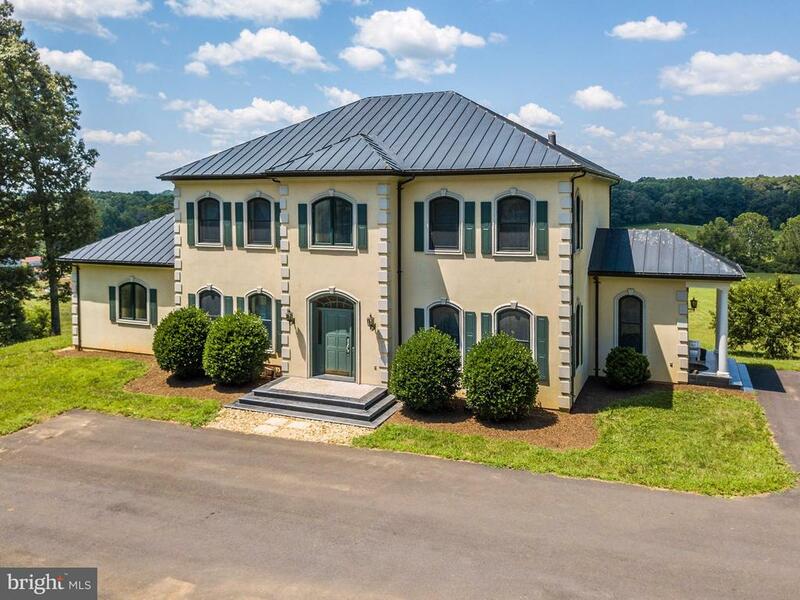 Parcel 22C3 with improvements in not included with this listing"
"Find more than seven thousand square feet of comfortable yet lavish space in this three-level European-style villa on thirty-five private acres with Blue Ridge mountain views and your own bubbling brook. The home boasts quality insulated concrete construction with geothermal heat and air conditioning, a lifetime copper roof, custom wood doors and hardware, wood flooring, marble baths, custom light fixtures, a gourmet kitchen, a main-level master suite, nearly a thousand square feet of great room with sixteen foot ceilings and a walk-out balcony, ten foot ceilings throughout the first and second floors, and a finished walk-out basement with nine foot ceilings, a large media room, a large guest room with en suite, storage space, a stone patio, and a slate-floored screened-in porch. Comcast already installed!" 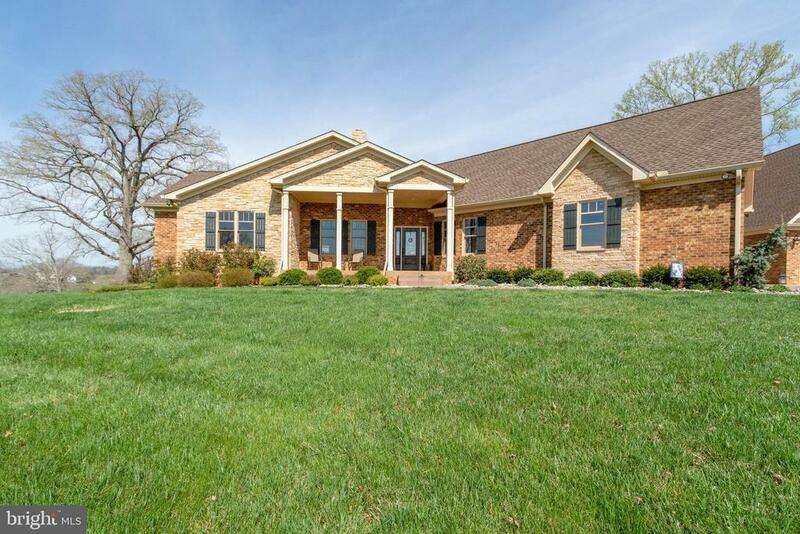 "Beautifully upgraded home: kitchen, new stable, arena & new waterfall at the pool.15 mins.west of Warrenton in horse country. Stone floors in large Master Wing and front entry.Interior pix scheduled for professional shoot very soon." "A RECIPE FOR RELAXATION The living is easy in this impressive, generously proportioned custom built ranch style home situated on an exquisite 14+ acres with majestic mountain views! The outdoor entertaining area will effortlessly cater for any occasion! What better way to start the day than a dip in the fabulous shimmering blue swimming pool, followed by a leisurely breakfast in the poolside patio! You're not dreaming! The 3700+ square foot floor plan encompasses four spacious bedrooms; plenty of room for entertainment, study, sleep & storage! Three car detached 35x43 garage with space above to finish as an in-law suite or use for storage, so many options! This beautiful property also includes 35x85 pole barn that includes three horse stalls, unfinished tack room/wash room/feed room, plumbed in for future bathroom, upper level includes hay storage. This building is so large you can also store all your implements, cars, RV, boat! See the glory of nature in all its moods! Welcome home! ~Gourmet kitchen with a Viking gas cooktop. Wall oven, convection microwave, and storage drawer. Granite countertops, Kraftmaid kitchen cabinetry with soft close hardware~All masonry, combination brick and stone exterior, built in 2013~Anderson double hung windows throughout with energy efficient glass~Brazilian cherry 5 inch hardwood flooring in living room, dining room, hallway and foyer~Hardwood floors outlined in Brazilian Cherry in main level office~Slate flooring in dining room outlined with Brazilian cherry hardwood~Travertine tile in Jack and Jill bathroom and bonus room bathroom. The master bathroom has custom ceramic tile flooring and shower has custom tile design~Granite counters and Kraftmaid cabinetry in all bathrooms~Custom trim throughout~R40 blown in insulation in ceiling & R-17 insulation in the walls~50 year architectural shingles~Custom closet organizers throughout~Large family room with wet bar~Inground liner pool~Stocked pond, one dry lot, 3 pastures with gates to"
"Spac 4 BR 3.5 BA rambler w/ too many upgrades to mention here. Check in documents. Two stall barn, tack room, run-in barn. Tenant house w/kit/full ba, equipment garage. 2 car garage connected by breezeway to house. Gourmet kitchen. New roofing. Stunning new sun room addition with wonderful views & heated floors. Large patio area. 2nd BR with ensuite bath. Master Bath w/heated flrs. 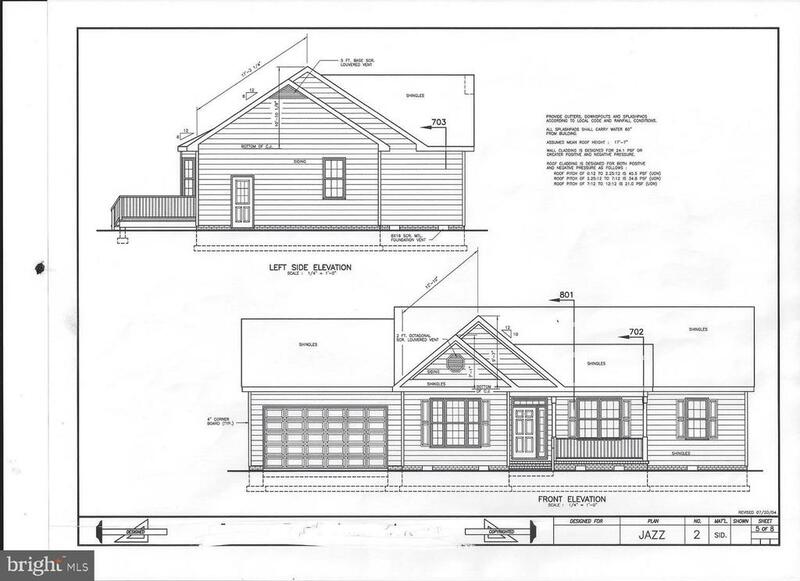 Contract must be contingent upon final subdivision approval (currently in process). Check with lister. Additional Acreage available." 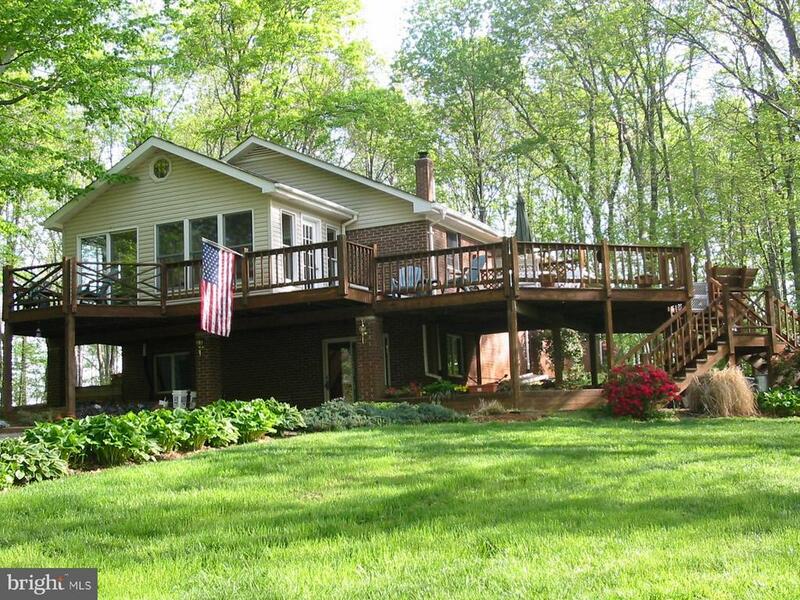 "Welcome to your lakeside paradise in Culpeper County! 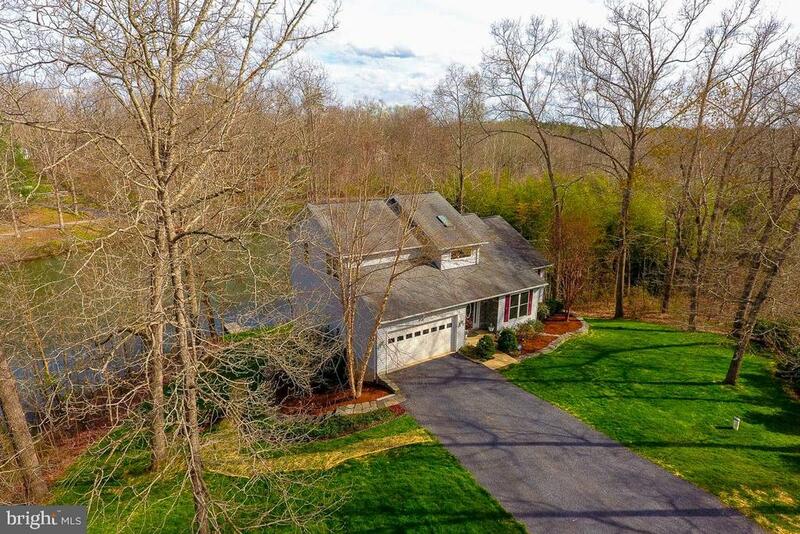 Located on over 22 acres and privately situated down a long, winding driveway, this stunning 4 BR 4.5 BA property has almost 6500 square feet of finished living space and overlooks spectacular private lake. With breathtaking views, this home was designed for the water lover. Take in the sights from the lakeside gazebo, private pier, spacious rear deck, screened in porch or sunroom. The interior of this home does not disappoint - open concept living with main level master bedroom suite. Sunny and bright kitchen is perfect for entertaining a crowd as it opens to great room. Second master bedroom suite also located on main level. Unique upper level with 2 large bedrooms, full BA and family room. The fully finished lower level has rec room with bar, full BA, gym and home office/possible 5th BR. There is ample storage space throughout home. Hardwood floors are on the main and upper levels and upgrades throughout like atrium doors, recessed lighting, zoned HVAC & more. Enjoy the gardens, hike, raise chickens and fish - this property has so much to offer and enjoy. Fenced rear yard and additional paddock would be perfect for hobby farmers. 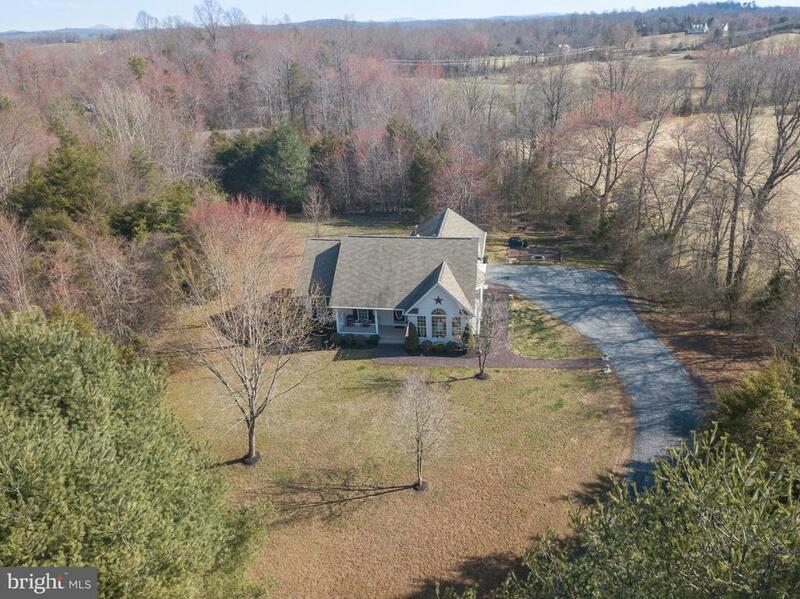 Conveniently located in between Warrenton and Culpeper." 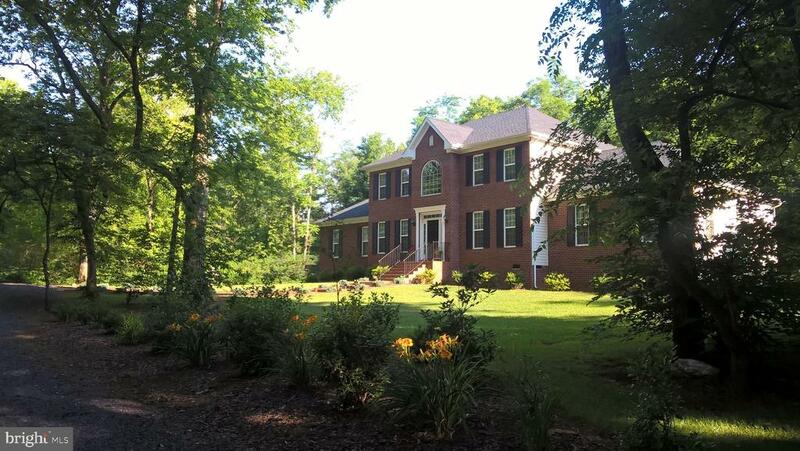 "Frank Betz custom built home with 3,500 SF of living space above grade sets on 10 acre, private wooded lot. Buyers must see to appreciate the features, large rooms and all the closet space. Master closets are 8x10 and 6x9. Bedrroms have 8x13 and 7x8 closets. Intercom & CD/Radio goes to most rooms of the home. Fully finished basement with recreation room and three more finished rooms for various uses. Hardwood, ceramic & new laminate flooring. Hickory cabinets throughout with raised vanities in all bathrooms. Gourmet kitchen with recessed and under cabinet lighting, granite counter tops with new tile back splash and stainless steel appliances. Two story family room and 9-foot ceilings with 10 ceiling fans. Upgraded fixtures. HVAC on upper level just over a year old and new hot water heater with instant hot water to enjoy. Sunroom off of kitchen leads to large deck with hot tub. Propane fireplace and backup heating system. Carport for other vehicles, shed and chicken coop. Hookup for Generator. Large wrap around porch to enjoy the wildlife in the front yard. Seen plenty of bears, deer, turkey and other animals! Seller is flexible on a time frame for settlement and is willing to wait until school is dismissed for the year. Road work has begun to finish paving the remainder of Settle a School Road." "Welcome to Altiora! 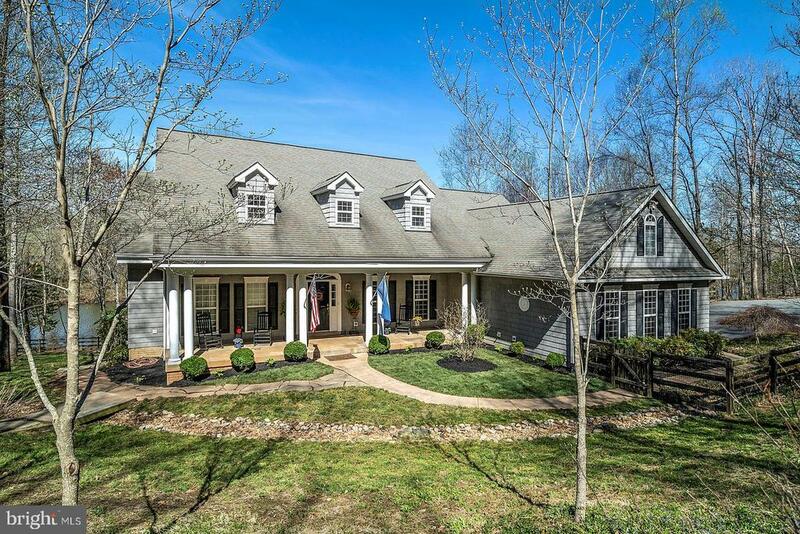 Where this Custom Built home is nestled in Virginia's beautiful horse country with winter mountain views . 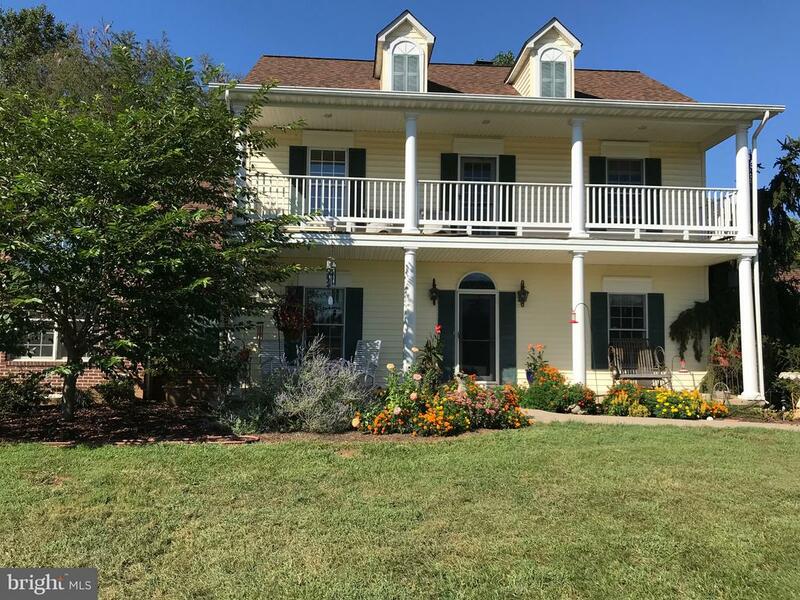 This 4 bedroom, 3.5 bath home sets on a 10.6-acre offers a park-like feeling with pathways and multiple exotic trees & plants like Paw Paw, Bitter Lemon, Locust, Black Walnut, Tulip Magnolia (one is over 250 years old), Osage Orange, Yellow Iron Weed, Peach, Persimmon, Apple and much more. All along road frontage, owners have planted Forsythia & Dogwood. If you like the property now, you will love it in the Spring and Summer! Kitchen has cherry cabinets, Whirlpool appliances and Bosch Dishwasher with breakfast area and large pantry. Crown molding in Formal Dining and Living Room. Family room with propane gas fireplace. First floor large master bedroom suite with tray ceiling, spacious bathroom and walk-in closet. Laundry with natural lighting on the main level of the home. Hardwood floors throughout main living area. Upper level with loft area and duel entry bathrooms. Second door to Master behind bookcase in Family Room. There are also three sheds ds for multiple purposes located around the property. Immaculate & Beautiful!" "At the end of the lane a Oasis awaits. Well kept sun filled Contemporary in a picturesque setting overlooks a pond with the sounds of the Hazel River in the distance. Very private setting along with the owners attention-to-detail make this property a must see. 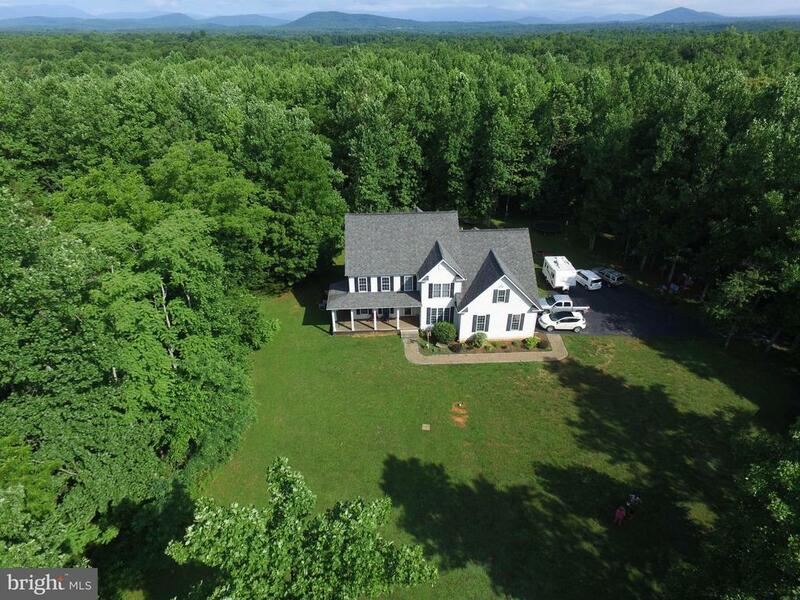 (Comcast high speed internet/tv, 12 kw automatic standby generator,Invisible fence,professionally landscaped) See the 3D / Video tour"
"PRIVATE HORSE FARMETTE on 9 scenic wooded and fenced pasture acres. Drive thru barn with (4) 12' x 12' box stalls, (1) open stall, tack room, wash stall & utility stall plus hay loft. Fenced barnyard & paddocks. Professionally built 80' x 190' stone dust riding arena. Huge deck overlooking arena and property. Beautiful glassed surround sun room, wood stove and many other features. 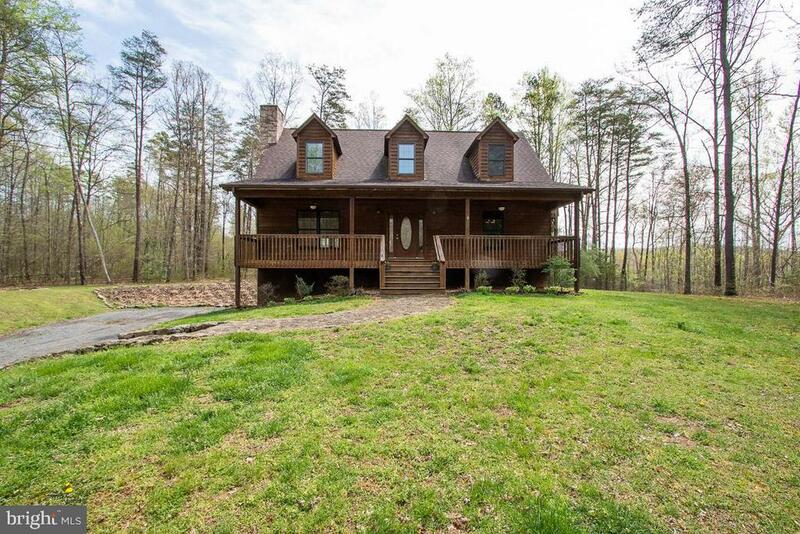 Agent/owner"
"BRING YOUR HORSES, COWS, GOATS & CHICKENS TO THIS WONDERFUL 9+ ACRE FARMETTE ON THE HAZEL RIVER.3 BEDROOM, 2 FULL BATH HOME W/CATHEDRAL CEILINGS & STONE FIREPLACE.KITCHEN W/DINING AREA & BAR SEATING, OAK CABINETS.UNFINISHED BASEMENT CAN BE FINISHED FOR ADDITIONAL LIVING SPACE. 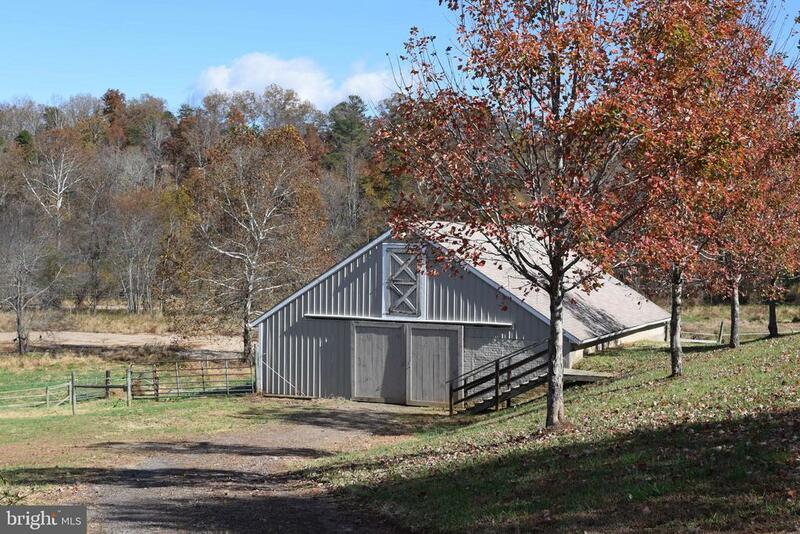 BEAUTIFUL CENTER ISLE 4+ STALL BARN W/TACK ROOM, LOFT HAY STORAGE, FENCED PASTURE. $5000 DECOR. ALLOWANCE & HOME WARRANTY!" "Plan Features design elements and amenities sure to please the eye with thoughtful provisions for daily living and spaces that contribute to this plans qualities. Master Suite situated away from bedroom 1 and 2 for added privacy, Tray ceiling and Vaulted ceiling along with the main floor having 9' ceilings are some of the highlights." "Lovely 3 Bed 2 Bath Home Situated At The End Of A Quiet Cul-De-Sac Street ~ Home Adjoins A Large Farm With Rolling Hills & Scenic Views ~ Covered Front Porch ~ Open & Airy Floor Plan With Plenty Of Natural Light ~ Beautiful Brazilian Cherry Wood Floors ~ Gas Fireplace For Those Chilly Nights ~ Oversized 2-Car Garage With Wood Stove ~ Spacious Bedrooms ~ Large Master Suite ~ Tile Flooring In Kitchen & Baths ~ Outdoor Fire pit & Grilling Area ~ Garden Shed & More ~ Meticulously Maintained ~ A Must See ~ Welcome Home"
"Serenity at its best! Move right into this charming Cape Cod on 6.8 acres! 2 bedrooms on the main level. Private master bedroom area with balcony. Full unfinished walkout basement with rough in plumbing. Don't miss out on this beautiful home!" 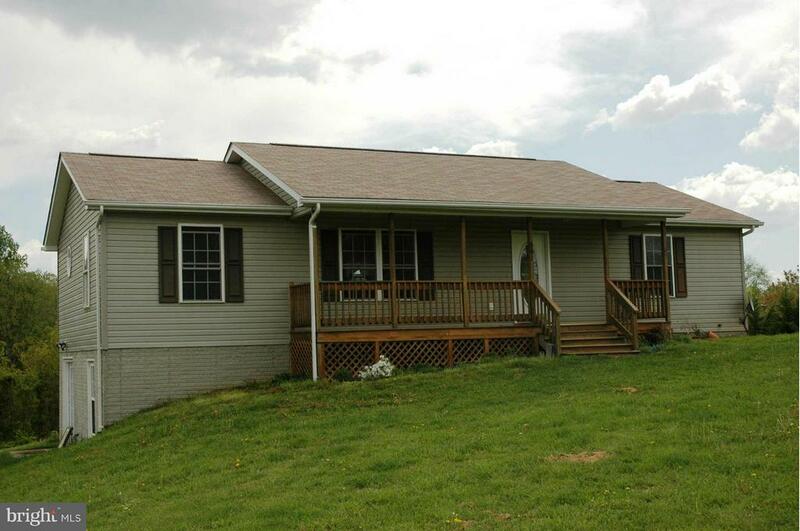 "Large 4 bedroom 3 bath rambler that~s far enough away but close enough too. 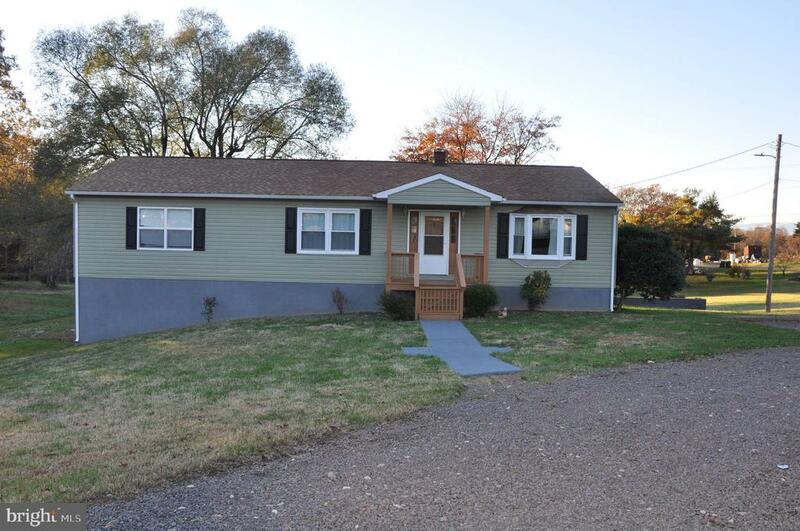 This home is 2588 square feet with a separate living area for the in-laws or for extra income. The large master bedrooms contains a large walk in closet and large master bathroom. The back deck and patio area is great for BBQ with large back yard ." "Charming home offers the convenience of one level living. 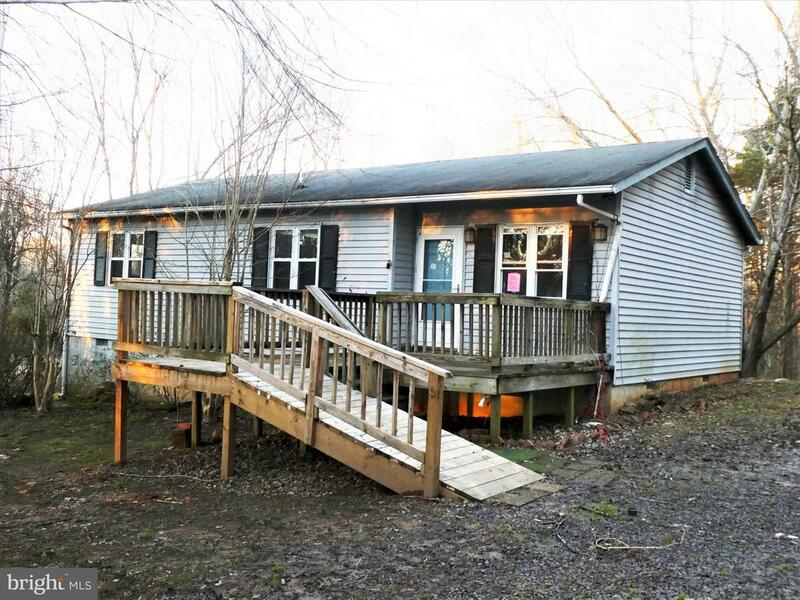 Rural location with no known covenants and restrictions. Nice open lot with magnolia trees and landscaping." "Vinyl sided rambler offers the convenience of one level living. Front deck with ramp. 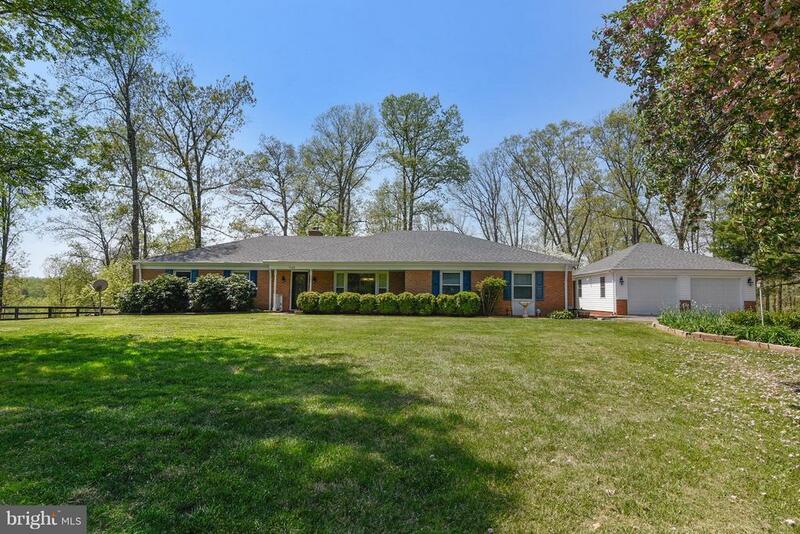 Partially wooded lot consisting of 3+ acres. No covenants and restrictions. Property sold AS IS. Great potential"